This is what happened when Terry Gross asked Jason Isbell to play a song that influenced him. 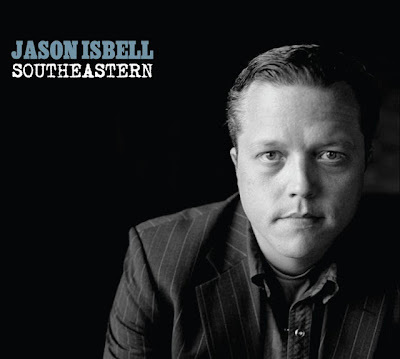 From ▶ Jason Isbell covers Neil Young on Fresh Air by Fresh Air From WHYY. Look for more of Jason Isbell's performance & interview online at www.npr.org/programs/fresh-air/. Also, preview more tracks Jason Isbell's new album Southeastern. Wow, I've never heard of Jason. I really enjoyed his voice, and thoughtfulness. I generally don't listen too much to Neil covers, because (to me) they very rarely seem to pull it off. This is clearly an exception. I've got to check him out. A Friend Of Yours - glad you liked the cover. Jason's a real deal musician. Know what you mean about covers. But what we liked most was the discussion afterwards of Neil's style. That was great even for non-musicians. Maybe someone else can confirm, but didn't Jason Isbell cover "Like a Hurricane" on a live album released in the last year or so? I HATE! covers almost as much as I hate tribute bands. That being said, I really like this. @Dean - glad to see the hate stopping. Well I am not a big fan of NY covers either, dean, but this one is pretty cool. His voice reminds of the late great Brent Mydland from Grateful Dead. And NY himself has been known to do a few covers himself... I particularly like his version of Jimi's "Little Wing" !!! Jason Isbell is on the show today and he sings a few songs while he’s at it. This one didn’t make the final interview cut, but you should listen to it anyway. He covers Neil Young’s “Don’t Let It Bring You Down" and then breaks down why he loves the song. wtf? So why didn't they air the best part? its beats the NY/GnR version. I had never heard that description of the use of a "Drop" tuning before. I need to hang out with more musicians. Jason Isbell ex of The Drive By Truckers making music influenced by 70s Neil Young - not sure if The Pill will have the side effects? Here's Jason doing a couple more great covers: Pancho and Lefty first, and then Jason and Dawes doing the mellowest Cortez you'll probably ever hear...hope you enjoy!